With a 262.5-foot (80-meter) wingspan, this solar-powered experimental plane set out on its 24-hour maiden voyage earlier this morning. 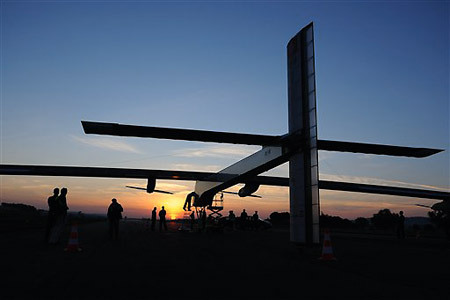 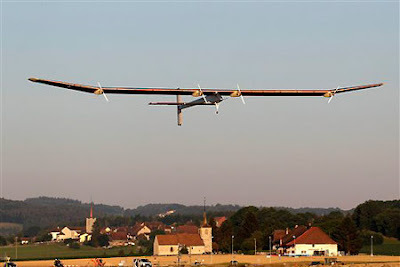 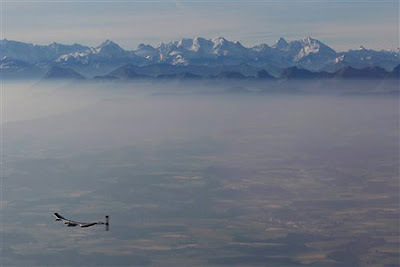 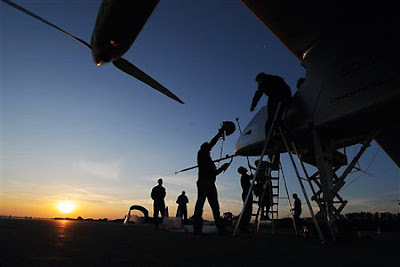 It left "Payerne airfield in Switzerland shortly before 7 a.m. (0500 GMT; 1 a.m. EDT) after overcoming an equipment problem that delayed a previous attempt, the Solar Impulse team said." 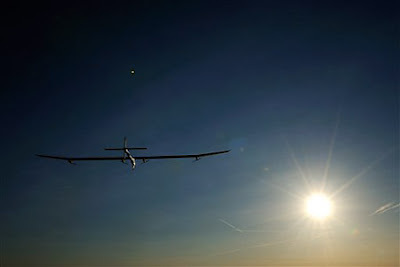 The team had hoped to make their 24-hour test flight last week when days in the northern hemisphere were even longer, allowing the plane's 12,000 solar cells to collect even more energy before attempting to coast through the night.